A Merry Xmas & Happy new year from Noa & me. May your dreams come true and make sure you jingle all the way!!! DON’T FORGET: PLANET OKAVANGO BOOKLAUNCH TONIGHT! 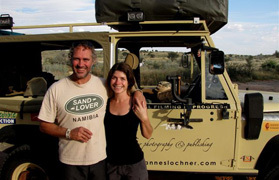 REMINDER: See you tonight at Groot Constantia’s booklaunch of Planet Okavango. Payment Options at venue: Snapscan, Cash & EFT. Good day, join Noa & me for a talk & slideshow on the 26th October about my latest publication, Planet Okavango. Sharing with you our life behind the scenes and stories of the Okavango Delta. https://www.nikonschool.co.za Booking is essential, only a few seats available. Feel free to share. PLANET OKAVANGO : LAST DAY FOR 20 % DISCOUNT.